This lovingly maintained one bed/one bath home has been thoroughly remodeled. Over the past 10 years, the home has undergone a total makeover including new insulation and drywall throughout, new floors, 2016 roof, 2008 refurbished commercial grade HVAC system was installed in 2017, new windows and 2012 water heater. The spacious kitchen was remodeled in 2008 and new stove installed in 2015. New electric panel and wiring. A large air-conditioned Florida room with newer windows and floors increases the living space. Total air-conditioned living space is 822 square feet. Home comes beautifully furnished and is painted in neutral colors. Home was tented for termites in 2015. New siding in 2011. Price includes share for the lot and ownership in the community. 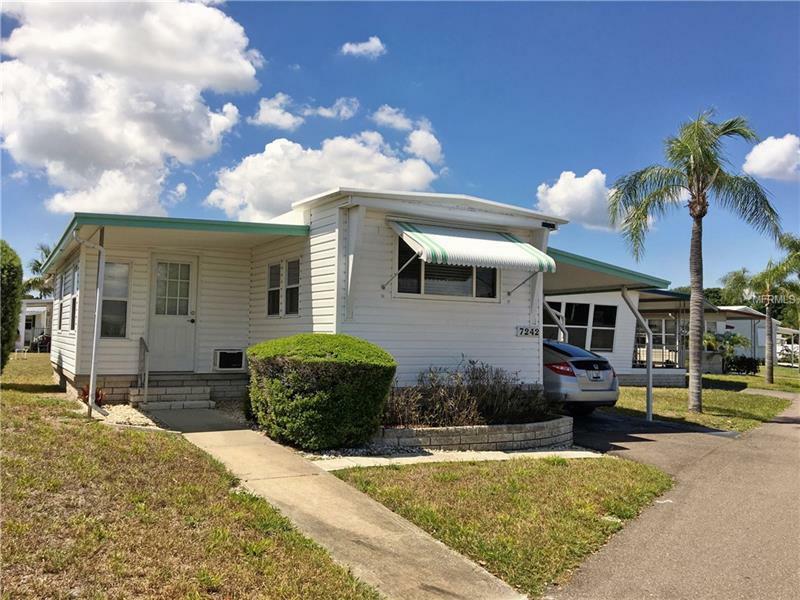 This beautiful home is located in Americana Cove, a 55+ waterfront community with many amenities and close to downtown St. Pete and Fourth street shopping and dining. Donât miss this great buy! Two indoor cats are welcomed! Additional Water Information: Home is located in waterfront community with saltwater canals leading to Tampa Bay. Pet Restrictions: Home is located in section where two indoor cats are welcomed.